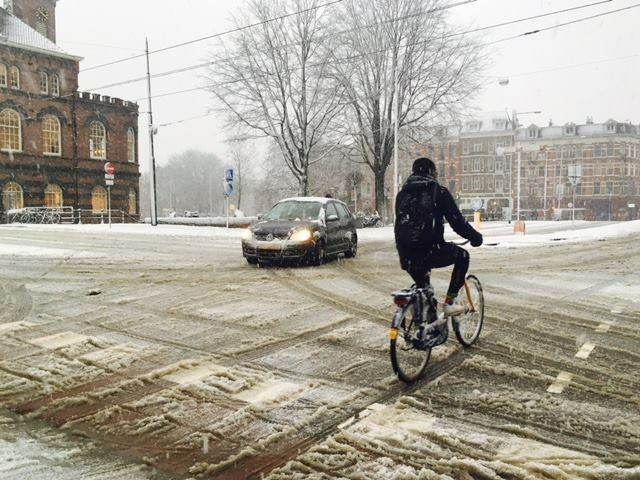 Wintery showers with thunder and strong winds are set to hit the Netherlands today, bringing heavy rain, sleet and possibly snow to most parts of the country. The chilly weather will continue over the weekend and into next week, but there will be sunny spells to break up the cloud, weather forecasters say. There will be mild frosts at night but during the day it will remain just above zero. The KNMI’s long-term forecast states that there is now a 60% chance of continuing freezing temperatures past January 24, but that there is more chance of frost during the day, as well as at night.